A warehouse is constructed for the primary purpose of providing storage solutions for manufactured goods before they are shipped to various markets. Warehouses are classified into different types such as private warehouses, public warehouses, and bonded warehouses. Private warehouses are constructed and owned by business enterprises who store the products which they manufacture. Public warehouses are open to the public and are also known as duty paid warehouses. Any organization that cannot afford to have a private warehouse could use public warehouses to store their stock. The goods that are stored in a public warehouse could be hypothecated to banks and used for getting loans and financial assistance. Bonded warehouses are warehouses where imported goods for which custom duty has not been paid. These goods will not be granted clearance until the custom duty has been paid. Warehouses are also constructed with various specifications to store particular goods and are classified based on these specifications. Special commodity warehouses are used to store a particular commodity such as rice or cotton. The nature of a commodity plays a vital role in the selection of the type of ware house. Cold storage or refrigerated warehouses are used to store perishable goods such as fruits and vegetables, eggs and meat. Institutional warehouses are owned and controlled by institutions such as banks, railways etc. banks use their warehouses to store the stock of their clients against loans advanced and railways store goods that are to be transported. 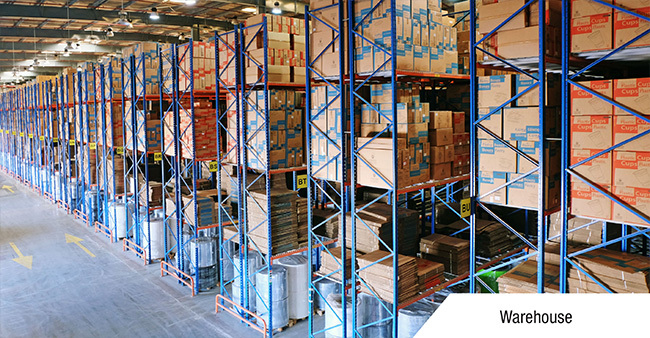 Some of the popular locations in UAE to find companies that provide warehouse services are Sheikh Zayed road and Al Qusais industrial area 1 in Dubai, Jebel Ali and industrial area 17 in Sharjah.